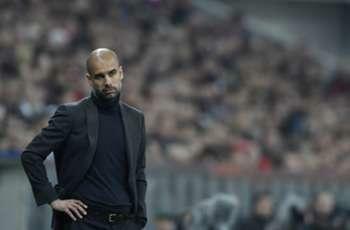 Bayern Munich coach Pep Guardiola took responsibility for his side's UEFA Champions League semifinal loss to Real Madrid on Tuesday. Cristiano Ronaldo and Sergio Ramos struck braces in Real's 4-0 second-leg thrashing of the Bundesliga champions at the Allianz Arena, completing a 5-0 aggregate victory. Guardiola said it was his error that led to Bayern's loss, while he was unhappy with the way his team used the ball after having the majority of possession in both legs. "We played badly when we had the ball. That's my responsibility. I made a mistake," the Spaniard told a news conference. "It was a bit better in the first leg, but congratulations to Real Madrid."